This years Arrowverse event really switched things up and was pretty fun to watch. Loved seeing Oliver & Barry adapt to eachothers powers/abilities, try to be kind of like eachother and learn more about themselves in the process.While I'm still not a fan of this version of red, I enjoyed Oliver try to be the Flash on the fly (of course still saying the catch phrase) and Barry getting the line in as well. A lot more great moments throughout this like the callback to Flash v Arrow and the AMAZO acronym. Only thing missing from the Smallville tribute was Tom Welling as a stable boy (haha). And since I'm still on the DVDs (watching a season a year), the show has never really gone away for me. Nice work with this version of Gotham though some of those city views were much brighter and lit than when I'm used to from the Fox show. I really just want a Superman spinoff after all this but I'll certainly take Batwoman. Plus, I liked how they got in the hallucinations of Merlyn & Thawne (Wells). I thought Felicity would be in this more but after everything she's been going through, storywise I get it. 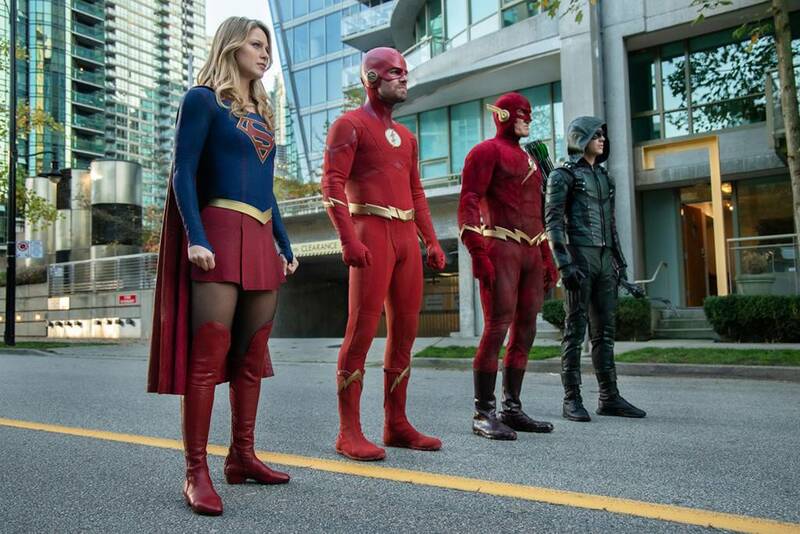 Nice to finally see more Supergirl cast in a crossover. I wish Earth 90 Flash had stuck around but I simply took it as they never intended to have Shipp do more than stand around in the suit anyway. Also gotta wonder if Gary (from Legends of Tomorrow) was undercover.